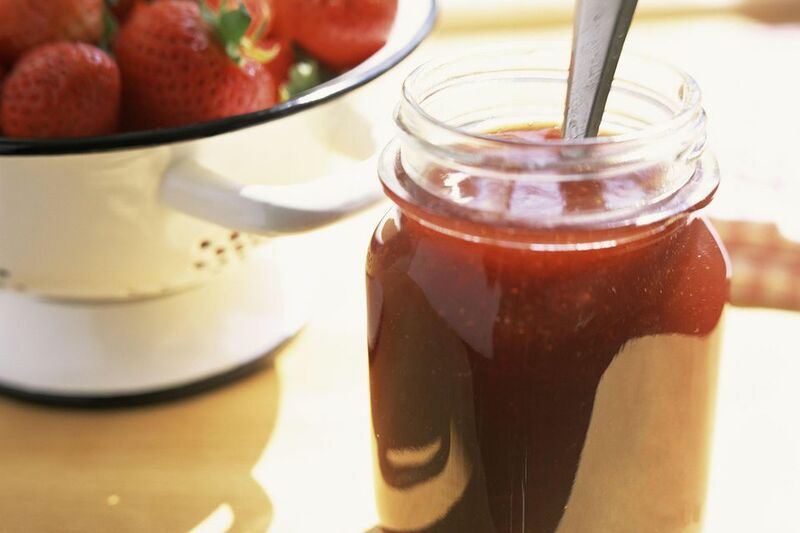 There is something very special about making homemade strawberry jam. Whether you pick your own strawberries or buy them at the market, turning strawberries into jam yourself is as rewarding as it is delicious! Strawberry jam can be added to many desserts, such as ​thumbprint cookies or crepes, and also tastes great simply spread on toast. Store the jam in sterilized jam jars for several months. Place the strawberries, lemon juice, zest and sugar in a large saucepan. Heat over low heat and simmer gently until the sugar dissolves. In a separate saucepan, boil the jam jar for 10 minutes. Once sterilized, remove from heat and dry thoroughly. Turn the heat up to medium-high and boil the mixture rapidly for 10-15 minutes, stirring occasionally. Do the wrinkle test. If jam is ready then remove the saucepan from heat and let it sit for 10 minutes or until the edges of the jam sets slightly. Pour jam into the warm jam jar and then let it cool completely before sealing. If the jam doesn't wrinkle the first time, keep boiling it for another 5 to 10 minutes and then test again.